Photos and general reports for 2013 - 2014 are here. 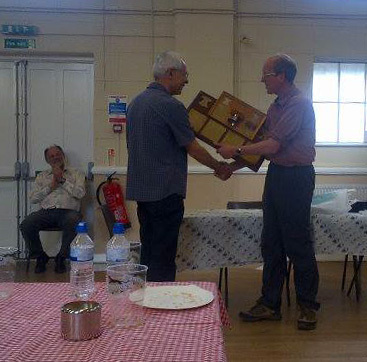 The sun shone in Terrington St Clement for the Ely DA Striking competition and AGM on Saturday 7th May. It was warmer outside the church than inside, so very pleasant for those outside listening to the ringing. 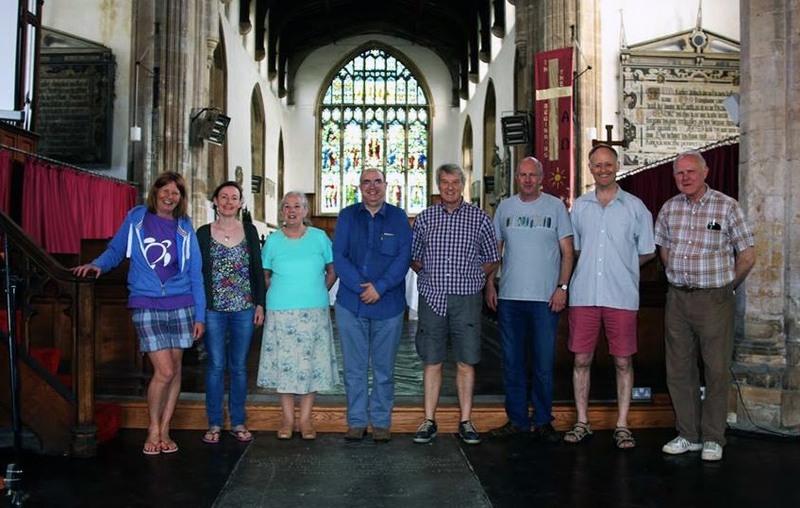 For the striking competition, there was a full complement of four teams entering, and the Wisbech District were congratulated on providing a band for the competition this year. The judges were David and Katharine Salter, and the results were: Wisbech District 4th with 42 faults, Cambridge and Ely joint 2nd with 26 faults and Huntingdon were the winners with 20 faults. At the AGM, Bruce Mew was elected as the new independent examiner and all the existing officers were re-elected, as listed in the Agenda (here). The nominated General Committee members, Bell Fund Trustees and Central Council representatives were all ratified. 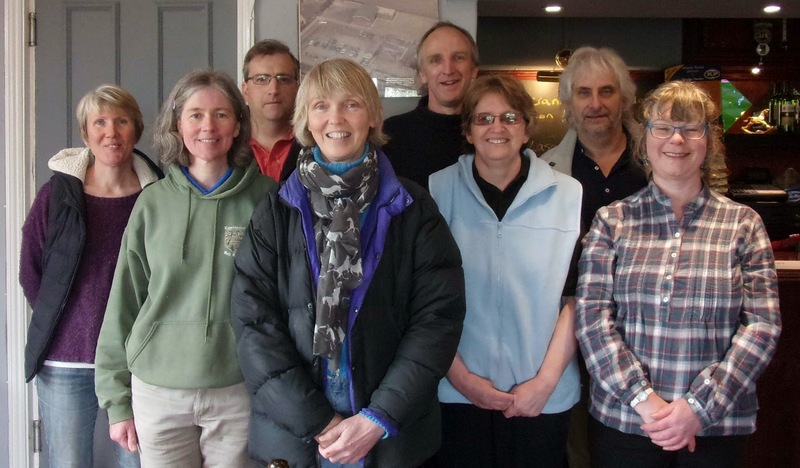 Bell fund grants were approved and Catherina Griffiths was ratified as an Honorary member. 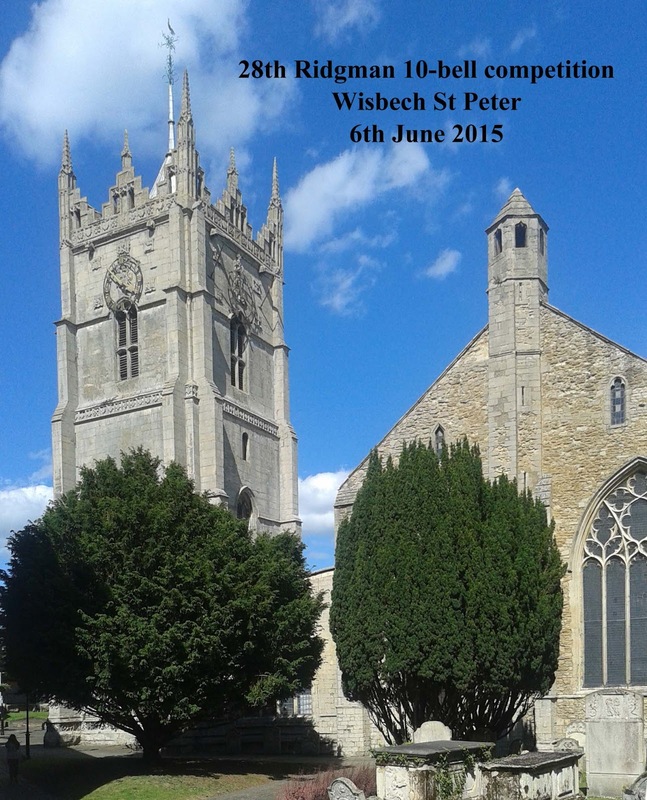 Thanks to the Wisbech District for all the arrangements (including the weather), and to Geoff Grayton for the photos (click on a photo to see a larger version). 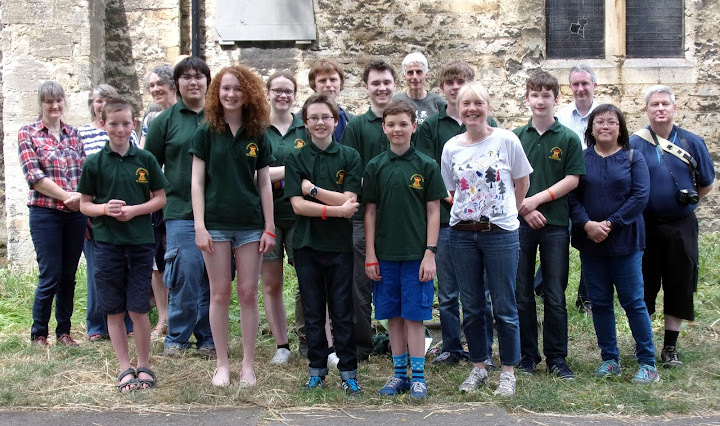 Congratulations to the Ely DA Young Ringers for doing so well at the Ringing World National Youth Contest (RWNYC). Ringing call changes, they achieved a B grade and were placed equal 4th, two grades up from last year's grade of C+, when they were equal 7th. Full results are here. The chief judge, David Pipe, described the bells at St Thomas' Church, Oxford, as "easy to ring, but hard to ring well". His comment on our piece was: "A steady piece of ringing. Very good treble and tenor. The band were well placed. The judges were slightly frustrated when listening to this band, who they felt could have rung better than they did. There was a very good piece of ringing trying to get out, but it didn't quite shine." Peal speed 3h14 (one of the slower ones). The photo shows the band and supporters (click on the photo to see a larger version). More photos here. Thank you to the parents and other supporters who came to cheer us on. Thank you also to our team coach Alan Winter and also to David Pipe for his helpful comments during our practices. The Ridgman competition was initiated by members of the Ely Diocesan Association to stimulate ten bell ringing within the diocese and friendly collaboration with neighbouring guilds and associations. In this aim, this 2015 competition has well met its founders’ intentions. Of the ten associations that have in the past been represented in the contest, eight were represented on the day. 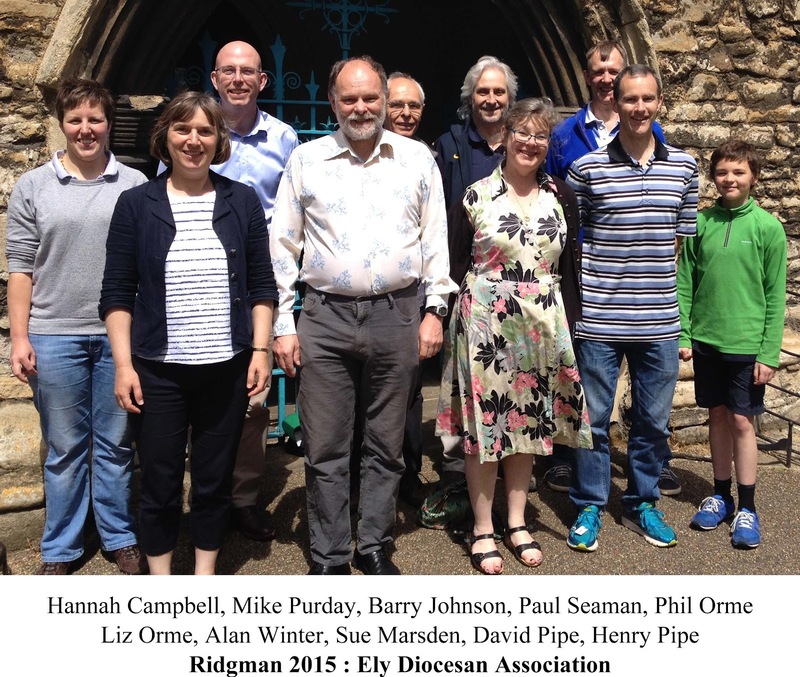 From the Ely Diocesan Association, three of the four districts were represented in a band which has developed and benefited from a monthly diocesan ten bell practice, inspired indeed by the Ridgman competition of 2007. The standard of ringing was good, solid clean ringing with few method mistakes. Our judges, David and Caroline House from Brighton agree with me on this. The ten at Wisbech are a noble set of bells, but not necessarily the easiest to strike well. The greatest challenge seemed to be settling to a suitable pace. By comparison with recent peal times (3:10 - 3:22, from the last ten years on Campanophile) the afternoon’s ringing was in general slower, with only two teams ringing faster than 3:30 pace. There is nothing wrong with being stately (or is there? ), but settling promptly to a speed congenial to all is central to success in striking competitions. The steward has a privileged position for observation, staying with the bands during their practice, and hearing the discussion before the start of the test piece. Speed was a common theme, with the back end inevitably urging a brisker pace. However, attempting to set a different pace in the test piece from that of the practice is always unsettling. Why there should have been a tendency to spread the bells out was also discussed. Suggestions ranged from the sheer size of the tenor box and the proportions of the tower to the particular characteristics of large bells hung on headstocks which accommodate elaborate crown staples. A further popular topic of discussion was the purpose of the small hatch in the floor immediately in front of the ringer of the 6th; many interesting suggestions were made, but I will suppress these in case a future organiser at Wisbech might wish to make a competition for the most imaginative suggestion. This probably had no bearing on the quality of the striking. Striking competitions are of course not simply about the striking. They are about sitting comfortably around tables in the church hall, munching through a mountain of sandwiches, pork pies, sausage rolls and cakes, with the aid of Elgood’s ale (supplied free by the Brewery which we acknowledge with gratitude) and a limitless supply of tea and coffee, in the company of old friends and new faces. This doesn’t happen without many hands behind the scenes. The Wisbech district ringers did a splendid job, keeping cups and plates filled having judged the supplies to within a handful of sausage rolls and a couple of pints of bitter. Many congratulations to David Appleby and his team for ensuring the smooth running of the event. Logistic success may be measured by the complete absence of any hitches that a reporter might comment on. The phenomenon of the judges’ gazebo breaking its moorings and heading across the church lawn on a broad reach before a force 7 gust cannot be held as the organisers’ responsibility; in general they did a fine job with the weather. 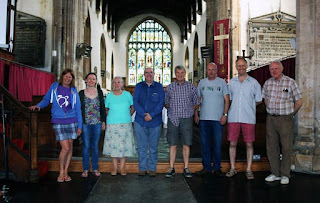 The Wisbech team get full marks, and the hearty thanks of all ringers and friends who had the fun of being there. The Committee have been glad to receive an invitation from the Hertford County Association to act as hosts on 4th June 2016, and provisionally from the Society of Cambridge Youths for June 17th 2017. 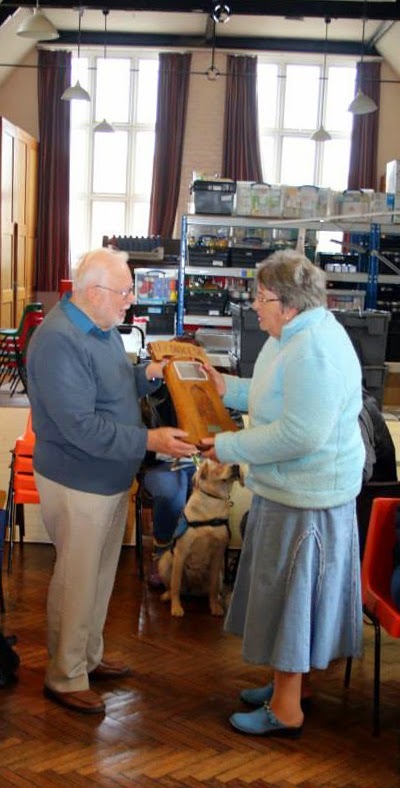 Thanks to Alan and Marj Winter, and Sue Marsden, for the photos. Photos of all the bands are on the Ridgman Trophy website, here. The four Central Council representatives for our Association, Philip Bailey, George Bonham, Sue Marsden and Paul Seaman, attended the Central Council meeting in Hull on Monday25th May. Paul's report on the meeting is here. Members were given the opportunity to participate more than usual, by taking part in group discussions with others from their regions. 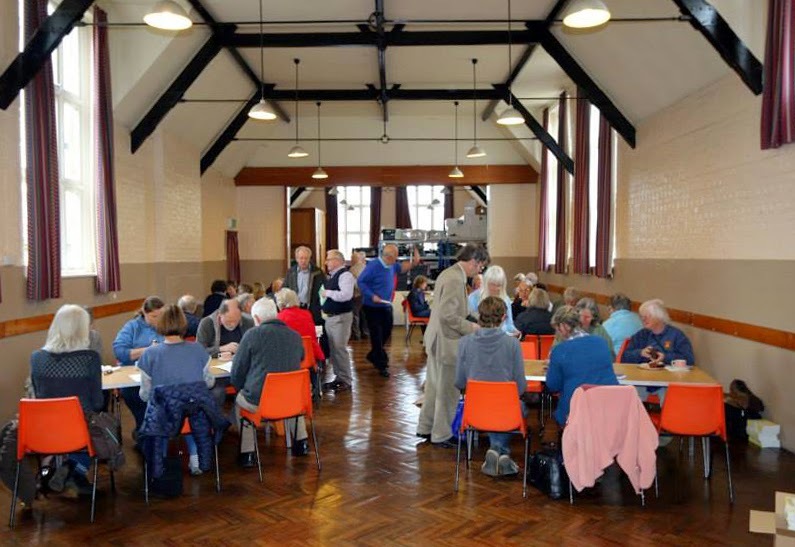 A report on these discussions, a summary of all the responses and the responses for the group discussion of the Eastern Region, which includes the Ely DA, are all available here. You can find contact details for our four CC reps here, they will all welcome feedback and are happy to answer any questions. The Ely DA AGM and inter-district striking competition took place on Saturday. The striking competition was held at Bluntisham, with teams from the Huntingdon, Ely and Cambridge Districts. Huntingdon rang Grandsire Triples and were placed first with 37 faults, Ely rang Plain Bob Triples and were placed second with 49 faults, Cambridge also rang Grandsire Triples and were placed third with 71 faults. 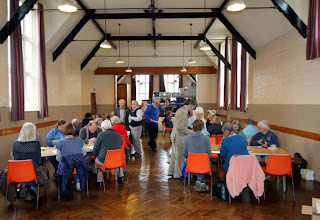 There was general ringing at Somersham, and then general and service ringing at St Ives, followed by a service at St Ives and an excellent tea in the St Ives Parish Hall. 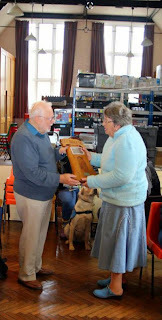 During tea, we were entertained by Ruth Bramley and Ann Biggs singing Ruth’s own song ‘Ringing the Changes’, which includes mention of Little Bastow Bob Minor and taking coils when ringing down. After tea, and the announcement of the results of the striking competition, it was time for the AGM. 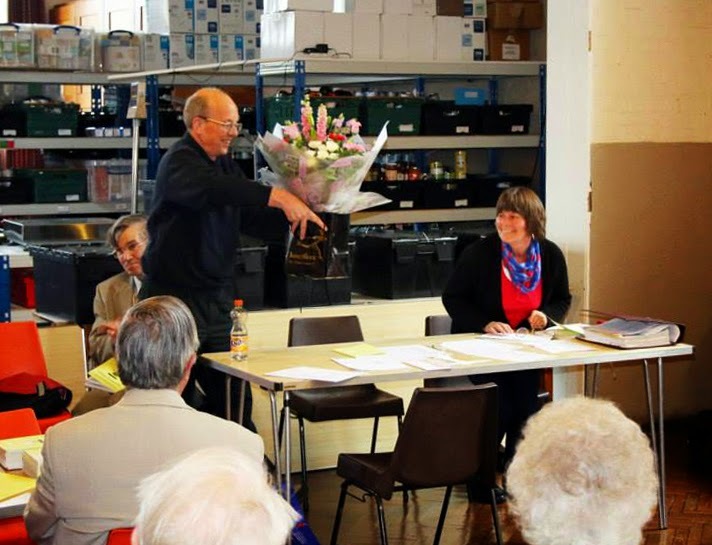 Catherina Griffiths finally stood down as General Secretary, after 21 years in office, and was warmly thanked by Tom Ridgman on behalf of the Association. JoAnne Rutter was elected as the new General Secretary. Paul Seaman stood down as Peal Secretary, and Sue Marsden was elected to that post. Peter Binns will be leaving the area in July and stood down as Public Relations Officer. This post is now vacant, although Peter will continue as acting PRO for another couple of months. If you, or anyone you know, would be interested in taking on this role then please contact Tom Ridgman (chairman_at_elyda.org.uk) or JoAnne Rutter (secretary_at_elyda.org.uk). All other officers remain in post, and contact details are shown here. 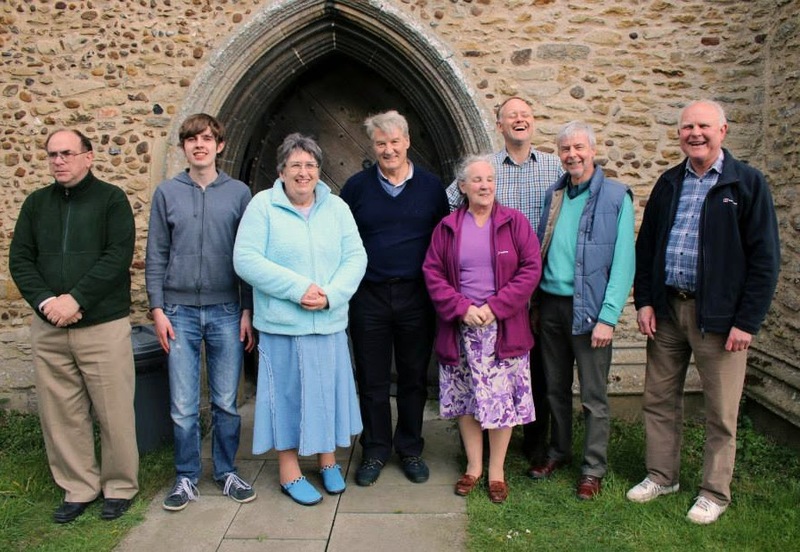 The proposed Bell Fund grants were all approved, including grants and a loan to Stretham for their augmentation to 8, and a grant to Swaffham Bulbeck for their work on improving the ringing room floor. The proposed rule changes were discussed and approved. As a result, a peal may be rung for the Ely DA which includes ringers who are not members of the Association. The new post of Quarter Peal Secretary was created, and Sheila George was elected to it. Sheila will continue to collate and report on quarter peals rung within the Ely Diocese, but now as a specific officer of the Association. 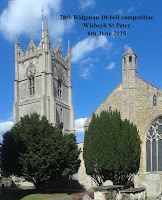 Saturday 2nd May was also the 300th anniversary of the first recorded peal, rung at St Peter Mancroft, Norwich. 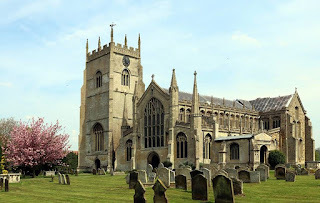 Two peals for the Ely DA were rung during the morning, at Fordham and at Fulbourn, to commemorate this event, to celebrate several birthdays and to welcome a new Royal Princess, whose birth was announced while the peals were being rung. Thanks to Geoff Grayton for the photos of the AGM and striking competition.